There were a slew of updates on the fatal shooting at an Aurora industrial complex, and NBC 5's Lexi Sutter has all the details on this evolving story. 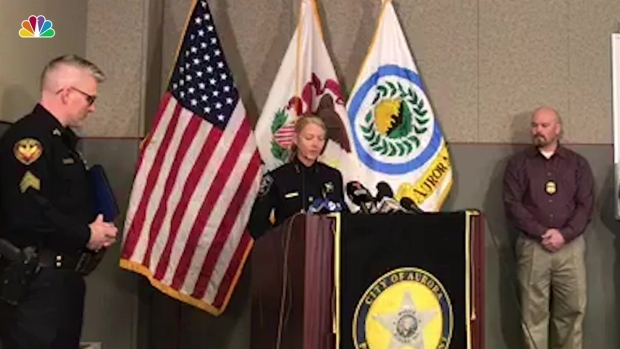 Police in Aurora, Illinois have identified the five victims of Friday’s fatal shooting at the Henry Pratt Company building. Authorities say that the victims were killed after the gunman, identified as 45-year-old Gary Martin, was fired by the company on Friday. After his employment was terminated, Martin pulled out a firearm, a .44 caliber pistol, and opened fire. Aurora Police Chief Kristen Ziman said that three of the victims were killed in the room where the termination meeting took place. A fourth victim was killed near the room, and a fifth victim was killed on another floor, according to authorities. Clayton Parks of Elgin, Illinois. Parks was the Human Resources Manager at the company. Trevor Wehner of DeKalb, Illinois. Wehner was an HR intern at the building, and was a student at Northern Illinois University. Russell Beyer of Yorkville, Illinois. Beyer was a Mold Operator at the plant. Vicente Juarez of Oswego, Illinois. Juarez was a Stock Room Attendant and a Fork Lift Operator at the plant. Josh Pinkard of Oswego, Illinois. Pinkard was the Plant Manager of the building. Police also say that a sixth victim, identified as a male employee in the plant, was treated at an area hospital with non-life threatening injuries. A GoFundMe account has been launched by the city to provide financial support to the families of the victims. Aurora Police Chief Kristen Ziman released the names of the 5 victims who were gunned down Friday by their coworker at the Henry Pratt company. 39-year-old man, with 13 years of service with the Aurora PD, was shot in the lower body, and is still in the hospital in stable condition. 52-year-old man, with 25 years of service with the Aurora PD, was shot in the upper body, and he will be released on Saturday. 52-year-old man, with 24 years of service with the Aurora PD, was shot in the lower body. He was released from the hospital on Friday evening. 53-year-old man, with 30 years of service with the Aurora PD, was shot in the lower body. He was treated and released. 24-year-old man, with four years of service with the Aurora PD, suffered shrapnel wounds to his upper body. He remains hospitalized. A 23-year-old officer also suffered a minor knee injury while responding to the call, and was treated and released. Police say that their preliminary investigation has indicated that Martin opened fire during the meeting in which he was terminated. 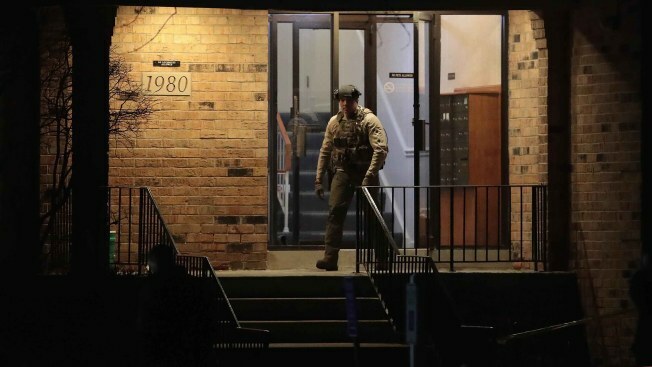 He then retreated to another area of the building, a machine shop, and waited for police to arrive for an hour, according to a timeline provided by authorities. Once officers spotted him, Martin opened fire and was killed in the ensuing gunfight. Martin was issued a Firearm Owners Identification Card in Jan. 2014, according to police. He applied to buy the gun used in the attack in March of that year, and also applied for a concealed carry permit in the state of Illinois. Martin’s application was rejected when his background check revealed a felony conviction for aggravated assault in Mississippi, and police say that the rejection would have caused him to lose his FOID card. Representatives from the Henry Pratt Company held a news conference on Saturday, where they confirmed that Martin's employment had been terminated just prior to the shooting rampage. The company's CEO Scott Hall told reporters that a background check was conducted on Martin when they hired him, but that it did not turn up the felony conviction on his record. The company is one of North America’s largest manufacturers of valves for the potable water, wastewater, power generation and industrial markets, according to its website.